The opioid epidemic that has gripped the mainland of the United States in the last two decades has received increasing attention from the media, law enforcement, and government officials in recent years. Prescription opioids, heroin, and other related substances are thought to be among the most addictive substances in circulation, and every day approximately 115 Americans are killed by an opioid overdose. While most of the attention of the national media and U.S. officials is fixed on the mainland, another drug has taken hold on the shores and mountains of the Hawaiian Islands: crystal meth. If you live in Honolulu and have fallen victim to substance abuse don’t hesitate to seek treatment. There are enormous resources in at your disposal. According to officials, the widespread use of crystal methamphetamine is by far the biggest drug problem on the island chain. Crystal meth is a highly addictive substance that affects the user’s central nervous system and causes a powerful and sudden rush of dopamine (a chemical that regulates the pleasure centers of the brain) in the user. The year-round tourism, along with the island city’s distance from the mainland—approximately 2,500 miles—create serious obstacles for Honolulu’s officials and law enforcement. The number of travelers arriving at Honolulu’s main airport each day makes it difficult for officials to identify those transporting drugs to and from the island. Although methamphetamines are by far Honolulu’s biggest substance abuse concern, there are also people who suffer from addictions to cocaine, heroin, and marijuana. According to the U.S. Department of Justice (DoJ), people addicted to crystal meth and high-potency marijuana make up the majority of drug treatment patients in the state. 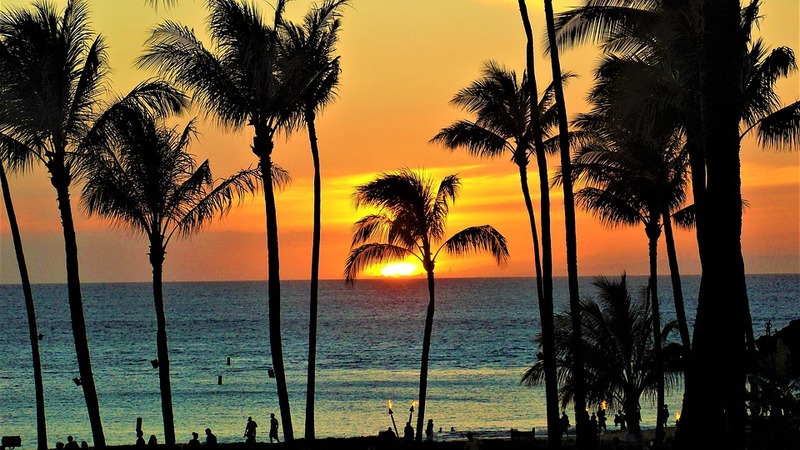 However, Honolulu also has a variety of treatment options for those suffering from addictions to cocaine, heroin, prescription painkillers, and other addictive substances. If you or someone you know may be suffering from an addiction to methamphetamine, high-potency marijuana, alcohol, or other substance(s), you do not have to suffer in silence. Drug and alcohol rehabilitation programs are effective. There are resources available in Honolulu and elsewhere to those in the throes of even the most severe addictions. Keep reading to find out more about addiction, how to get help, what the road to recovery looks like, and what to expect from treatment. Addiction is a complex brain disease that takes hold of the user over time and causes the addicted individual to continue to compulsively use the substance despite the physical, psychological, and behavioral consequences. Continued use of addictive substances can alter the wiring and chemistry in a person’s brain. These changes can have effects that last far longer than the immediate effects of the drug. Once a person has become addicted, it can be extremely psychologically and physically painful to stop using the drug. Although it can be difficult to detect the signs of addiction in a loved one—particularly if he or she attempts to cover up or hide the addiction, and particularly if you have never experienced the symptoms of addiction yourself—there are some signs and symptoms to look for. It is common for individuals addicted to drugs or alcohol to find the thought of treatment frightening, and resist attempts from family members, friends, or other loved ones to get them to consider treatment. This may be especially true for those abusing highly addictive substances such as crystal meth, heroin, or prescription or synthetic opioids. Help is available, even for those suffering from severe addictions to alcohol, methamphetamines, heroin, or other addictive substances. Keep reading to learn about treatment options and how the recovery process works. One of the first procedures that those entering drug treatment go through is the drug assessment. Medical personnel and other clinicians and staff members generally administer an initial drug assessment. The purpose of this assessment is to provide the staff at the treatment center with an overall picture of the new patient’s addiction. It is important for clinicians to understand what substance(s) a person is using, the severity of his or her addiction (the frequency of use, typical dose, and duration), and any underlying or co-occurring physical or mental health conditions. A combination of laboratory tests, clinical questions about substance use history, and self-reported survey tools are typically used during the assessment process. In cases where the new patient is severely addicted, which is often the case for those using crystal meth or heroin, treatment centers commonly also conduct a comprehensive physical and mental health assessment. The information gathered through the assessment process aids clinicians and addiction specialists in developing an individualized treatment plan for new patients, and will help them determine whether or not a new patient will undergo detox and withdrawal and what therapies are appropriate. In addition, these assessments allow clinicians to get acquainted with new patients and gauge the potential for self-harm or relapse during or after treatment and identify potential risk factors for each patient. Once you or a loved one has made the often difficult decision to seek treatment and recovery for addiction to drugs or alcohol, there are often a variety of practical concerns and considerations prior to treatment. Before entering treatment, it is important to make sure that any responsibilities you may have are taken care of so that you are able to focus entirely on your health and continued recovery while in treatment. Often, some combination of family, friends, and other loved ones can help take care of many of these things while an individual undergoes treatment. Having these and any other practical concerns taken care of prior to entering a rehabilitation program can help those recovering from addiction focus on the treatment process and getting well. Every treatment center has different processes and procedures that new patients go through when they arrive for treatment. In addition, the intake process is likely to differ based on the type of treatment program (inpatient vs. outpatient) and the substance(s) the new patient is addicted to. However, there are some standard processes you can expect to go through when you arrive at a rehabilitation center for treatment. In addition to the drug assessment procedures discussed previously, new patients are typically asked to submit to a urine sample, breathalyzer, and/or other drug test. You will also be asked to sign a variety of consent forms and read over documents explaining the treatment center’s rules, policies, and expectations. In addition, nearly every treatment center maintains a list of restricted items that are not allowed in the treatment facility. It is likely that a staff member will go through your bags with you in order to identify and remove any restricted items from your belongings. Almost all rehabilitation centers restrict weapons, drugs and alcohol, electronics (sometimes including cell phones), unapproved medications, and expensive, flammable, or dangerous objects or substances. You can sometimes find a list of restricted items on a treatment center’s website, or contact the center to inquire as to what to bring. New patients also typically meet with a counselor during the intake process to go over his or her health records, substance abuse history, and any existing physical or mental health concerns. These meetings allow addiction specialists and staff members to develop an individualized treatment plan to address the unique needs of the new patient and ensure that the best possible environment for recovery can be achieved. Patients are also encouraged to ask any questions they may have about treatment and detox during these meetings. Not all people recovering from drug addiction have to go through detox; however, if you are severely addicted to drugs or alcohol, have been using for a long period of time, or if you are addicted to meth, heroin, or other highly addictive substance, you will likely experience symptoms of detoxification and withdrawal. Medical detoxification allows the bodies of those addicted to drugs or alcohol to dispose of the chemicals associated with the drug and the addiction in a safe environment, monitored by addiction and withdrawal specialists. Heroin and prescription or synthetic opioids are also difficult to withdraw from. It is typically strongly advised that those undergoing detox from meth, heroin, and other highly addictive substances are closely monitored by medical professionals during the withdrawal process. Although medical detox is the first step in recovering from addiction, it is not the only component to treatment. Detox alone without therapy and other treatment practices is rarely enough to help those suffering from addiction break the cycle and achieve long-term recovery. Although there are a wide variety of drug and alcohol treatment options in Honolulu and elsewhere, treatment can generally be divided into two primary categories: inpatient and outpatient. Residential or inpatient treatment programs refer to rehabilitation centers in which patients live full-time during the recovery process. Inpatient rehabilitation is typically more intensive than outpatient treatment options, offering 24-hour medical supervision, comprehensive individual and group therapy, support groups, and addiction counseling, in addition to a safe and entirely drug-free environment. Inpatient treatment programs are designed to help those with even the most severe and long-lasting addictions detox, break the cycle of drug abuse, and begin the road to recovery. Inpatient rehabilitation programs typically last between 30 and 60 days, although some patients remain in inpatient treatment facilities for up to 6 months, depending on a variety of factors. During treatment, patients live at the facility and typically only leave on scheduled, supervised outings. There are often rules about when family or friends can visit and when patients can make calls. For those with severe addictions, inpatient treatment may be the best option. Outpatient treatment differs from inpatient programs in that patients do not live at the treatment facility on a full-time basis. Instead, those recovering from drug and alcohol addiction through outpatient rehabilitation programs typically live at home or in a transitional sober living home (if they have previously undergone inpatient treatment) during recovery. Patients undergoing outpatient treatment are typically required to take regular drug tests and must be at the treatment facility during certain hours of the day or week. Although outpatient rehabilitation programs are generally less expensive and intensive than inpatient treatment, they typically include many of the same components, including individual and group therapy and counseling and support and supervision from addiction specialists. These kinds of treatment programs tend to last longer than inpatient treatment, although the duration and intensity of outpatient programs vary substantially. Those with less severe addictions may find that outpatient treatment is the right option. Additionally, those leaving inpatient treatment who require ongoing support and counseling may find that outpatient treatment helps them transition from the inpatient environment back to everyday life. Partial Hospitalization Programs (PHP) – Patients typically spend nights at home, but return to the treatment facility every day for medical supervision, intensive therapies, and case management. Intensive Outpatient Programs (IOP) – Patients attend treatment sessions, check-ups, and individual and group therapy at the rehabilitation center, but do not live at the facility full-time. These kinds of programs are not typically used to treat severe and long-lasting addictions. For those recovering from addiction to drugs or alcohol, the hours, days, weeks, and months following inpatient or outpatient treatment are of vital importance for ongoing sobriety and continued recovery. Every person is unique, and will face unique challenges during the treatment process. Similarly, following discharge from rehab, each individual is likely to face his or her own unique obstacles, temptations, and difficulties. Recovery does not end upon discharge from treatment. It is an ongoing and often lifelong process. Those who have just been released from treatment (particularly inpatient or residential treatment) are at increased risk of relapse. Aftercare is an extremely important component of recovery for most individuals, and can help people make the transition from intensive treatment back into everyday life. Individual, group, family, and couples therapy, including cognitive behavioral therapy. Having a plan for aftercare dramatically decreases the likelihood that a recovering individual will relapse. Aftercare also ensures that those who have undergone treatment will continue to receive ongoing support and maintain connections with others in recovery. As mentioned above, continued sobriety and ongoing recovery is a lifelong pursuit for many who have suffered from addiction. Life after treatment has its ups and downs. Some days may be easier than others, but most people at some point experience difficulty maintaining sobriety. However, with hard work, dedication, and self-acceptance, staying sober for life is possible. For many people, it is helpful to build and maintain a strong community of supportive individuals who have also suffered from addiction and been through treatment. Many of the aftercare resources mentioned previously are not solely intended for those who have just left treatment. They can be returned to at any point in the recovery process, even decades after treatment. For those recovering from severe addiction (especially those who have just left inpatient treatment), sober living homes can be a good option. Inpatient treatment offers a secure and safe, entirely drug-free environment. Leaving this environment can be extremely difficult, particularly for those without an effective support system to return to outside of treatment. Sober living homes can provide community, peer support, and a drug-free environment that can act as a bridge between inpatient or outpatient treatment and the transition back into the larger community. Every individual walks their own path. No two people experience treatment and recovery the exact same way. Therefore, it is important to consider your own unique needs, personality, temptations, experiences, and wishes when developing an aftercare plan and a plan for continued sobriety and sober living.